From 1979 to 1988, Richard was a guest director in the Fairfax County Public School systems where he directed musicals and plays, co-developed the curriculum for a pilot program in musical theatre performance with Robert Rooks, and served as guest instructor for the first year of this course. In addition, he led acting and improvisation workshops for teenagers at J.E.B. Stuart High School and in Massaneta Springs, Virginia from 1980 through 1986. During those same years he directed full length plays and one-acts for community theatre and for the Northern Virginia Theatre Alliance Festivals, where his own plays were produced as well. He served as president of the Fairfax Community Theatre from 1983-1985. Richard worked with the Source Theatre Washington Theatre Festival as a new play submission reader and director, where he first became interested in new play development. 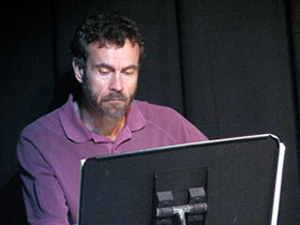 In addition to directing his own plays at the festival, he directed the winner of Source Theatre's 1987 Washington Theatre Festival National Competition for best new play (William Triplett's Greater Victory), and he was nominated for Best Director for the 1986 Washington Theatre Festival's winning script Head Act by Richard Carlson. He also directed Head Act in the main season of 1986-87 at Source Theatre, Pat Sheehy Artistic Director. 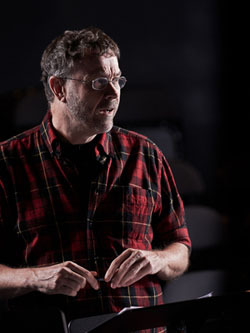 Richard's interest in new play development, both as a writer and as a director continued during his graduate work at The American University, where he earned a Master of Fine Arts in Creative Writing. In addition, in 1993 to 1994 he served as a reader of new plays at Arena Stage, in Washington D.C.